Monday night the Pittsburgh Penguins pulled off what seemed to be one of the most improbable playoff wins in franchise history. Dead in the water for the first 39 minutes of game action, an unlikely hero emerged and the Penguins fought back to win 4-3 in a stunning display of offensive burst. The crowd in Columbus didn't know what hit them. The Penguins were dead meat. 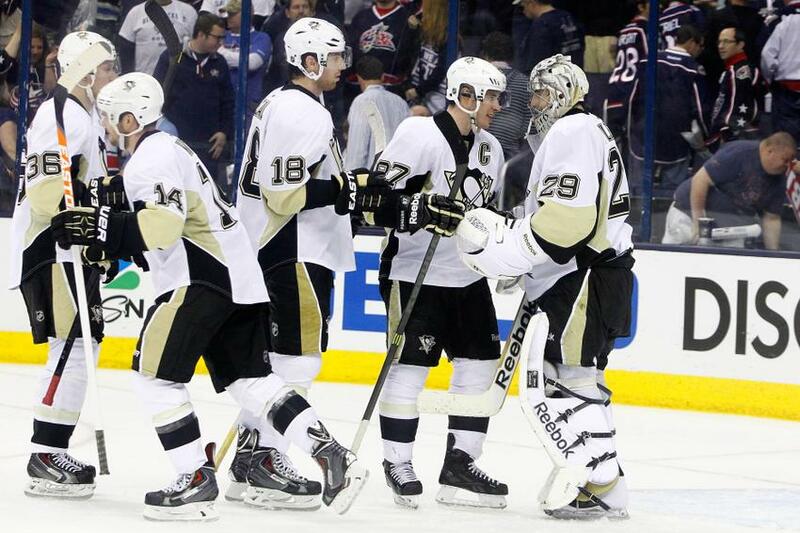 The Blue Jackets had thrown their best punches and the Penguins were down. In less than three minutes everything changed. One goal. Two goals. Three goals. Suddenly everything the Penguins fans were rightfully complaining about became an afterthought. The lack of life for the team, the inability to get shots on net, the lack of support for Marc-Andre Fleury? Mere memories. And that might be a problem. For the Penguins to flip a switch and overcome a 3-1 deficit was impressive. It was a show of force for an offensive brute. It may be the worst thing to happen to the team. Being able to just click as the Penguins did is an asset. Given the pace of the series, in which each team has come back from a 3-1 hole, it's also troubling. In the Pens two wins they turned that switch late. In the loss, they did it early. In all three games we've seen two Penguins teams: One that cares, one that looks like it wants to be anywhere but there. This is not how you win in the playoffs. Against a 7 seed you can do this, though it'll come at a greater cost of extra games that wear the team down in a tournament where being fresh is key. To succeed they need to play 60 minutes. The fire seemed to be sparked going down 3-1 for the Penguins. They played possessed, pumping more and more rubber at Sergei Bobrovsky until he broke. For 35-40 minutes they owned the game. To win going forward that play is what they need every game, not just partial games. To win the Cup they need that effort at all times. Was Monday the realization they needed to shift into the next gear and jump out of the funk they've been in for over a month or will they continue to coast by on talent alone when their greatest talents in Crosby, Neal, Malkin, Kunitz, and Letang, continue to struggle to be relevant beyond some assists? Tonight is a key night for the Penguins. How they react will dictate quite a bit going forward.